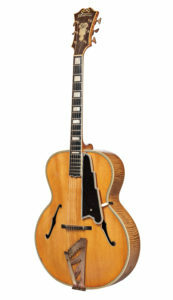 Estate of Guitarist J. Geils Featured in Skinner’s November Fine Musical Instruments Auction | Skinner Inc. Highlights from Geils’ guitar collection include his Stromberg Master 400, D’Angelico Excel, several Gibson archtops, and Fender tweed amplifiers. 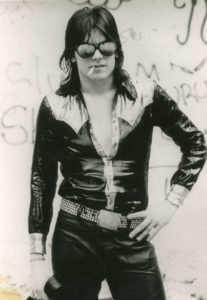 J. Geils memorabilia highlights include an extensive recording library of reel-to-reel tapes and vinyl, Jim Marshall promotional photographs, and stage-worn apparel including his Nudie Suit. In addition to the special collection of J.Geils guitars and memorabilia, an offering of Gibson mandolins is highlighted by a 1924 Lloyd Loar H-5 mandola, one of approximately twenty known examples. Public auction previews will be held in Boston on Friday, November 17 from 12PM – 7PM, Saturday, November 18 from 10:30AM – 5PM, and Sunday, November 19 from 9AM – 10:30AM. Catalogs for auction 3051B are available from the Subscriptions Department at subscriptions@skinnerinc.com or from the Gallery. Prices realized will be available online at www.skinnerinc.com during and after the sale. Consignments are currently being accepted for Skinner’s November 19 Fine Musical Instruments Auction. Please contact Skinner’s Fine Musical Instruments Department for auction evaluation at music@skinnerinc.com or 508-970-3135. The deadline for consignments is September 20. Skinner auctions draw international interest from buyers and consignors alike, with material regularly achieving record prices. The company’s auction and appraisal services focus on fine art, jewelry, furniture, and decorative arts from around the globe, as well as wine, fine musical instruments, rare books, Asian art, clocks, Judaica, and more. Monthly Widely regarded as one of the most trusted names in the business, Skinner appraisers have appeared on the PBS-TV series, Antiques Roadshow, since the show’s inception. Skinner has galleries in Boston and Marlborough, Massachusetts, as well as in New York City and Miami, Florida, with bidders participating in person, by phone, and online. Join auctions live with SkinnerLive! and Bidsquare. For more information and to read our blog, visit the website at www.skinnerinc.com, find us on Facebook, or follow us on Twitter and Instagram. This entry was posted in News and tagged amplifiers, boston, centerfold, freeze frame, guitars, J. Geils, J. Geils band, music, music auction, music memorabilia, skinner, skinner auctions, vintage guitars by Skinner. Bookmark the permalink.